Government officials said Thursday that contact information has been identified for all of the 304 children in federal care after they were separated from their parents at the U.S.-Mexico border as part of the Trump administration’s “zero tolerance” crackdown on illegal immigration. The government said it looked into reports of inoperative phone numbers for the parents who were either deported or sent back into the United States, but in 47 of 50 cases, there was recent successful contact between parent and child. A steering committee formed by the American Civil Liberties Union has made significant progress in contacting parents and confirming parent and child wishes with respect to reunifications, according to a joint status report submitted to U.S. District Judge Dana Sabraw in San Diego prior to a status conference Friday afternoon. The ACLU earlier this year filed a class-action suit demanding that families separated at the border be reunited. Last week, the government said the accurate number of children in the custody of the Office of Refugee Resettlement with removed parents was 343 as of a week earlier. 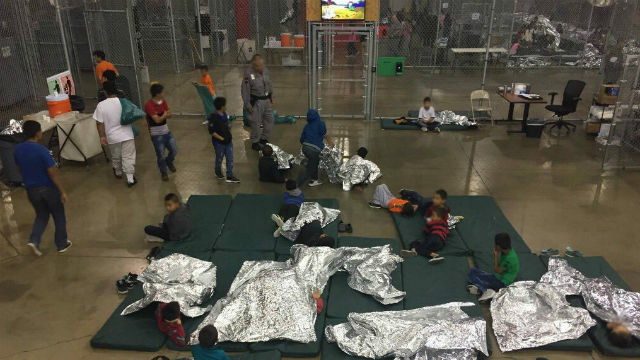 ACLU national attorney Lee Gelernt has said that many parents who have been separated from their children for many months are seeking rapid reunification in their country of origin, mostly in Central America. But in some cases, removed parents may not have availed themselves of their right to seek asylum because they were misled or coerced into believing that asserting their asylum claim would delay or preclude reunification, Gelernt said. The plaintiffs’ steering committee said the number of removed parents identified by the government is 413. Thirty-two of those parents have no phone number, the plaintiffs said.